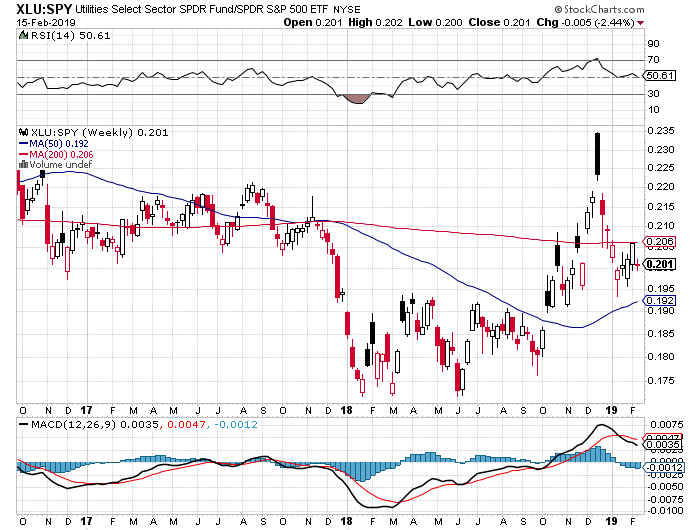 For now, I’m unconvinced that stocks are out of the woods yet. Last week, markets rallied strongly, and the unrelenting streak of consecutive up weeks following the December lows continues. At this pace, we’ll hit new all-time highs in March. 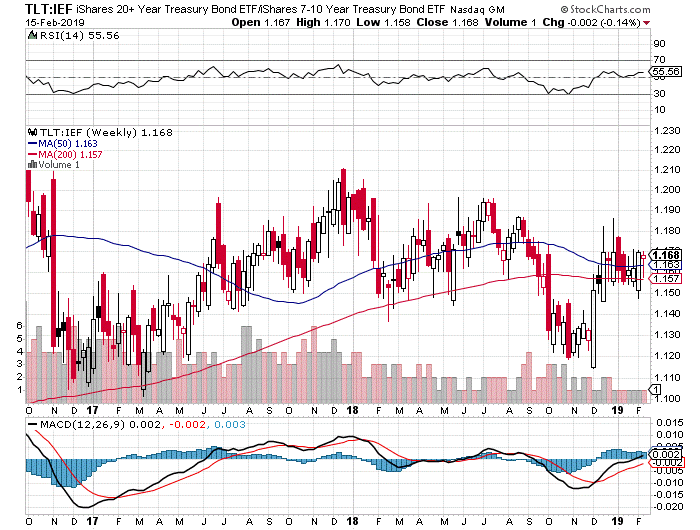 My problem with the move is that Utilities and Treasuries are not breaking down. Utilities historically show near-term strength when conditions favor higher volatility. While weaker last week, performance has not been as weak as one might otherwise expect. On the longer end of the Treasury curve, long duration Treasuries are still holding against intermediate. 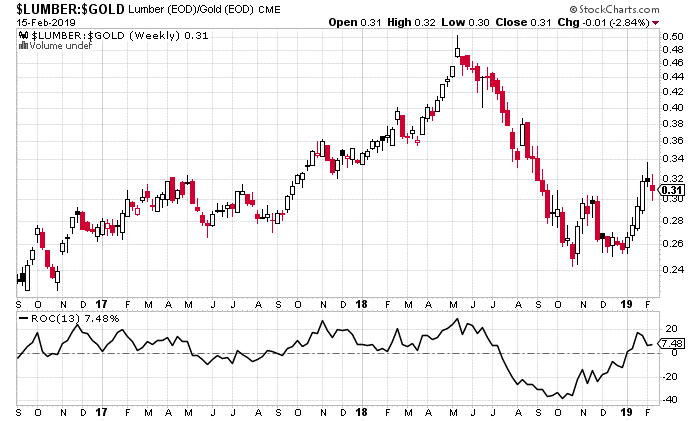 Lumber relative to Gold on a rolling 13-week basis is marginally positive, which is positive for the bulls. However, relative strength here doesn’t look that convincing in my opinion. Finally, for you technicians, I came across this chart and posted it on my Twitter feed (@pensionpartners). ATAC strategies still remain defensively positioned. 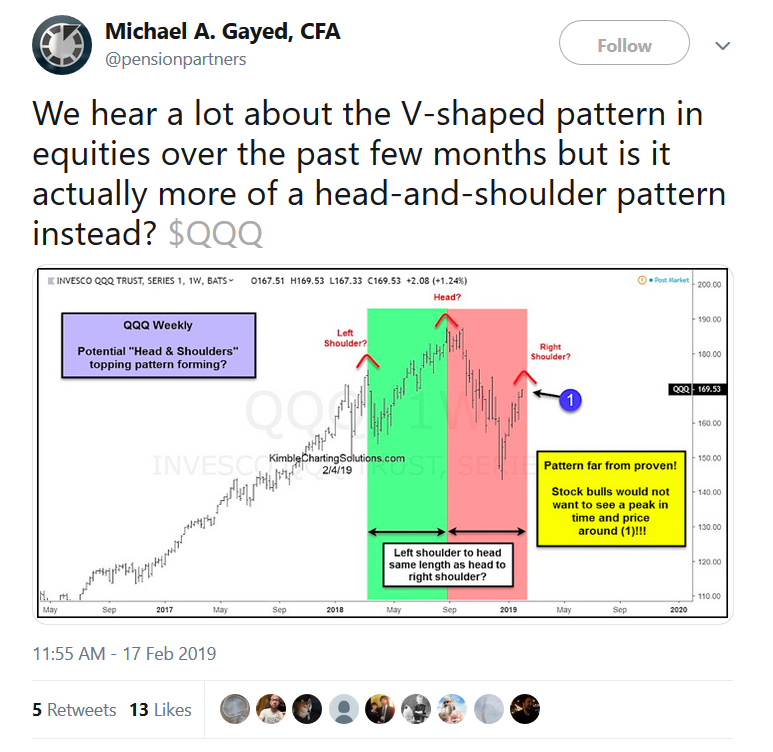 I will remind anyone watching recent market movement that there are several examples historically where equities had huge rallies off of big drops, only to ultimately make lower lows. Not saying that is absolutely what will happen here, but odds aren’t looking great for on-going strength. Remember – markets have a funny way of fooling the maximum number of people when you least expect it.